Blue Mountain Mist Country Inn specializes is romantic facilities, southern hospitality, and professional attentive services to make your most special day perfect in every aspect, with all inclusive packages to help simplify and keep your wedding plans stress free. The inn sets on sixty acres of rolling hills with beautiful mountain scenery making it very picturesque and a beautiful setting perfect for any outdoor wedding. 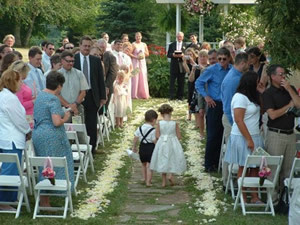 To contribute to your very special day, Blue Mountain Mist Country Inn offers many different services including a minister, musicians, DJ’s, horse and carriage rides, floral arrangements, bar service, tent and other amenity rentals, delectable in-house food services and much more! 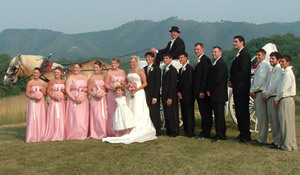 Blue Mountain Mist Country Inn is dedicated to providing the perfect wedding facility to meet your needs and complete the most memorable day of your life.